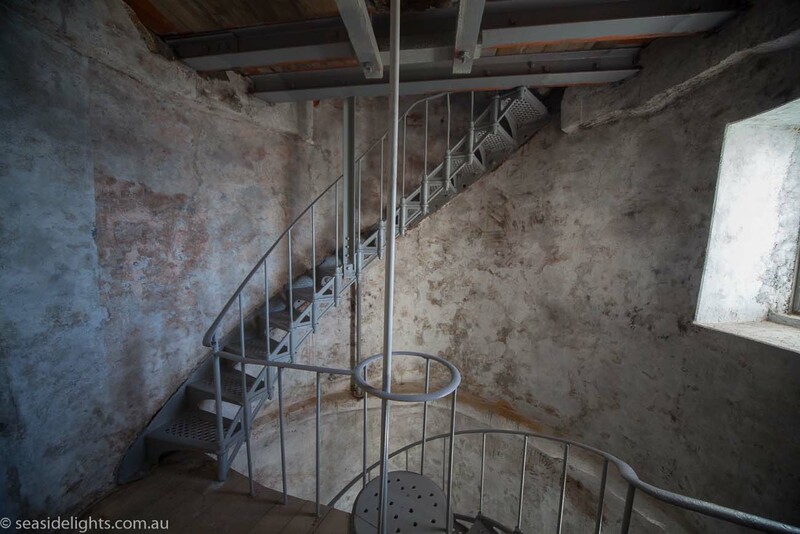 Goose Island Lighthouse | Lighthouses of Australia Inc. The tower has a colourful history that ranges from an attack by pirates to the regular visitation by a ghost on the middle watch. 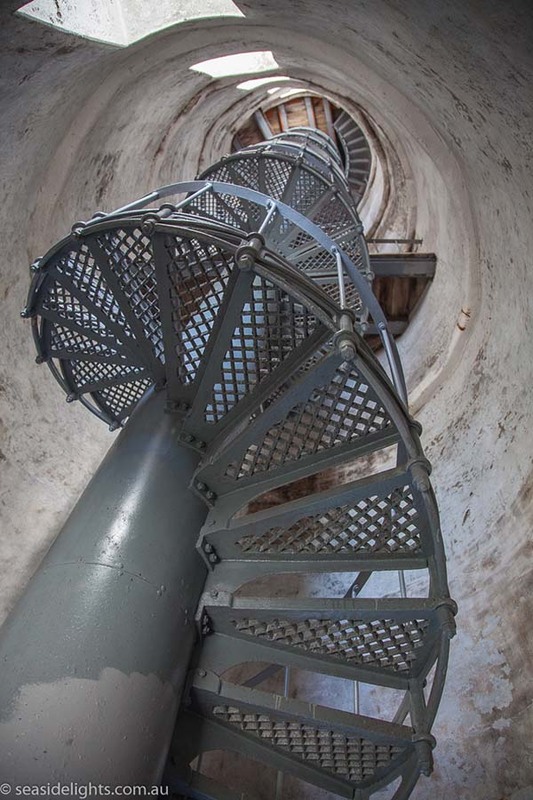 Built in 1846, the tower is of masonry rubble constructed by convicts. 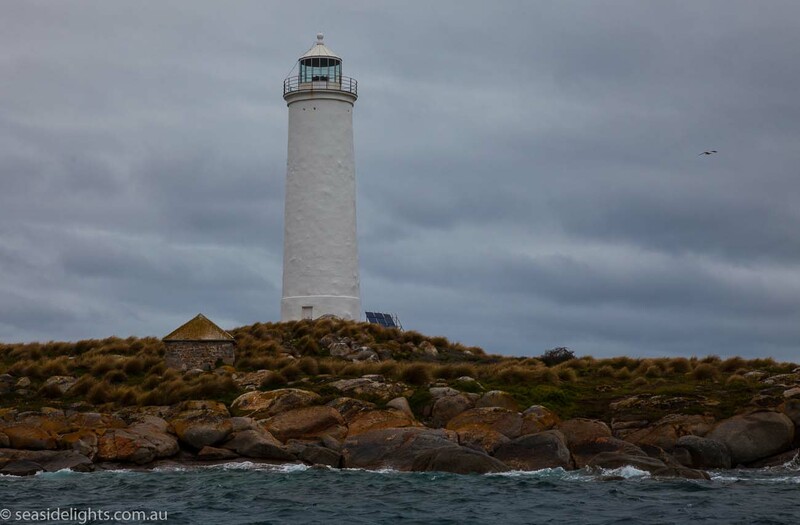 Goose Island (2.4 x 0.8 kilometres) is in Bass Strait to the north of the Tasmanian Coast and to the west of Flinders Island. 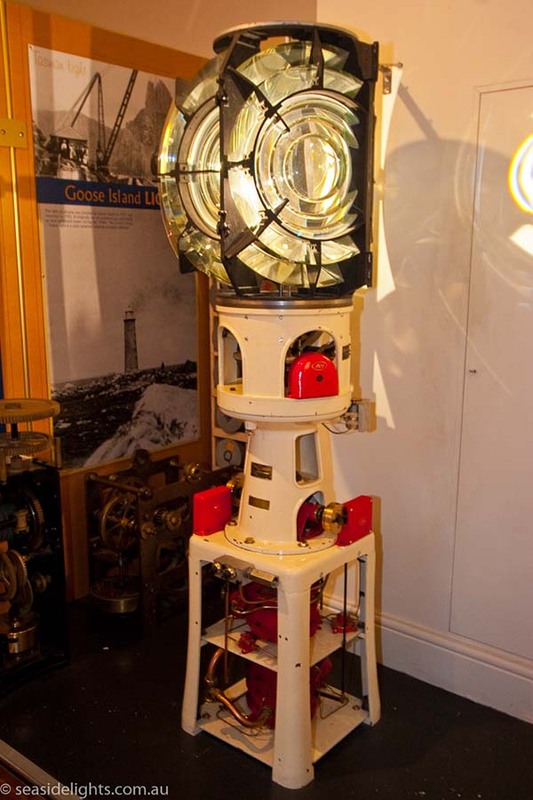 The light was original known as officially termed the Goose Island Road Station since its construction was undertaken by the Department of Roads! Due to problems in the administration of the project it was taken over by the Public Works Department and the name ‘Road Station’ dropped. The first light was an oil burner. Conditions for the early keepers were very poor, occupying the workman’s huts that had quickly become dilapidated. Eventually a new headkeeper’s cottage was constructed and the old headkeeper’s cottage renovated for the assistant keepers. 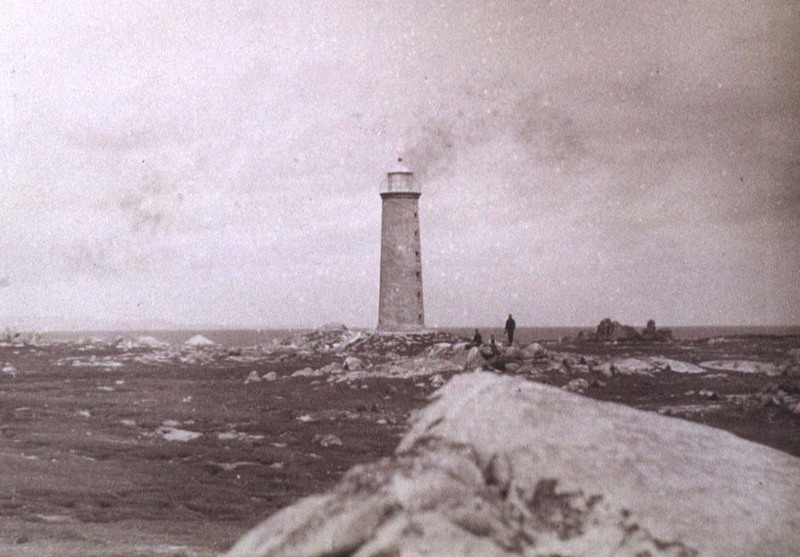 Discipline was an ongoing problem and in 1852 one of the assistants is believed to have swum out to a ship sheltering by the island and had the captain take him to Adelaide. The men on stations such as this became resourcefully and supplemented their rations with mutton-bird meat and eggs which they pickled for when they were out of season. “On this Island we received a mail once a fortnight. 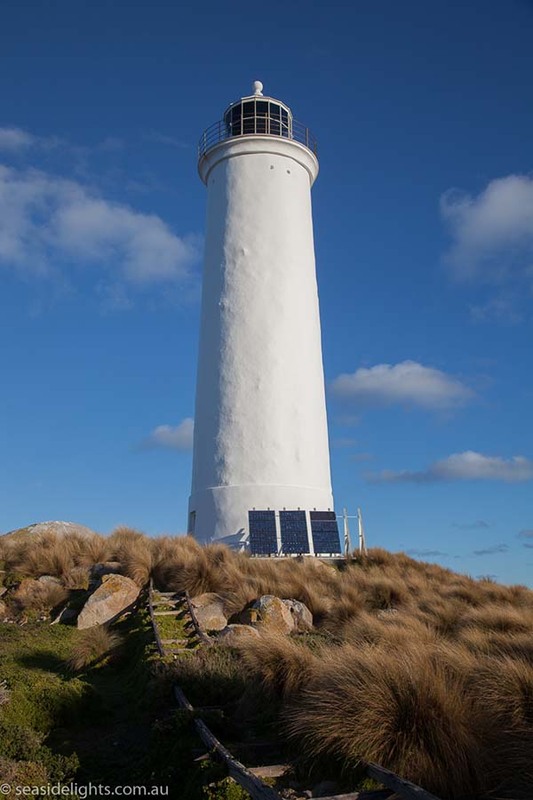 It was brought from Launceston by the S.S. Kiltibanks on her fortnightly trip to Flinders Island. She usually arrived off Goose at 2a.m. or thereabouts, rather an unusual time for the postman to call! The man on duty in the tower always kept a good look out and at the first sign of the boat he signalled the houses. At once everyone tumbled out of bed. The first action was to place a lighted lamp in the glassed-in verandah of each house so that the boat would know we were on the way and also to act as landmarks for the rowers. For the Kiltibanks did not stop at the Island, it merely slowed down as it passed on the eastern side. Having hurriedly dressed, all hands rushed to the boatshed to help launch the boat. 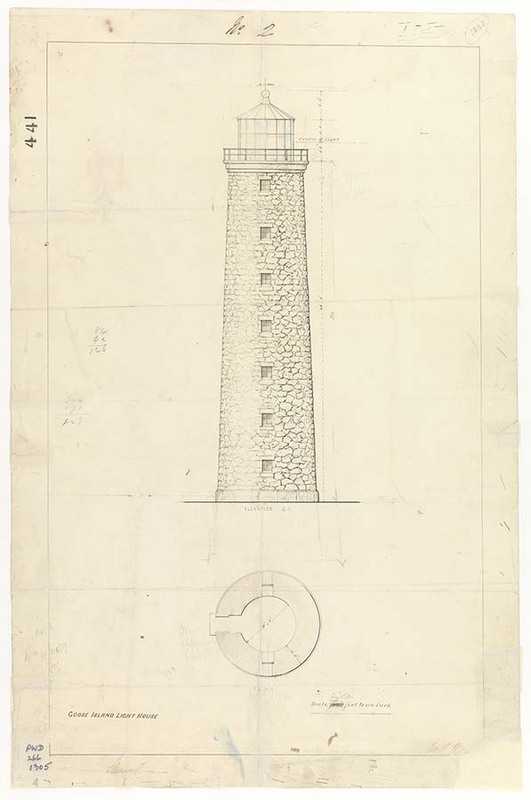 Two hurricane lamps were lighted, one to go in the rowing boat so that the Kiltibanks would not run them down, and the other to be placed at the end of the jetty as an additional landmark for the rowers. Actually the mail times varied because the boat from Launceston had to catch the tide at Whitemark so it was not nearly so exciting when she came in the daytime. The same routine was followed but no lamps were necessary. 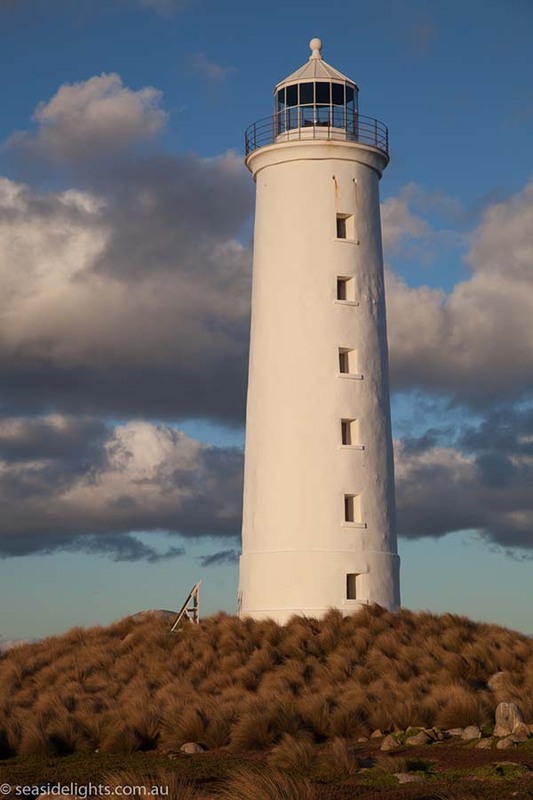 Later, in 1922, tragedy occurred when two assistant keepers were trying to row their long boat back to the lighthouse jetty, from fetching the mail, were caught in a strong current and carried away. Despite a search which found the boat in tact and their mailbag the bodies were not discovered for several months. 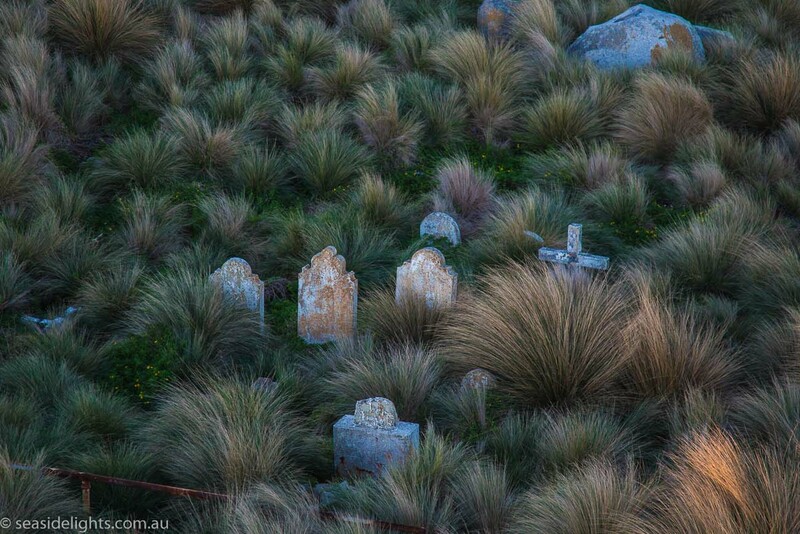 They were returned to the island and buried in the small cemetery on the island. Also buried in the cemetery is the six year old son of a keeper, who drowned while playing in the rocks pools and got caught by the island’s fast tide. The light was converted to mineral oil in 1878 then to acetylene gas in 1931. Further to this the light was demanned at this point, the stores and equipment transferred to Swan Island and the cottages demolished. 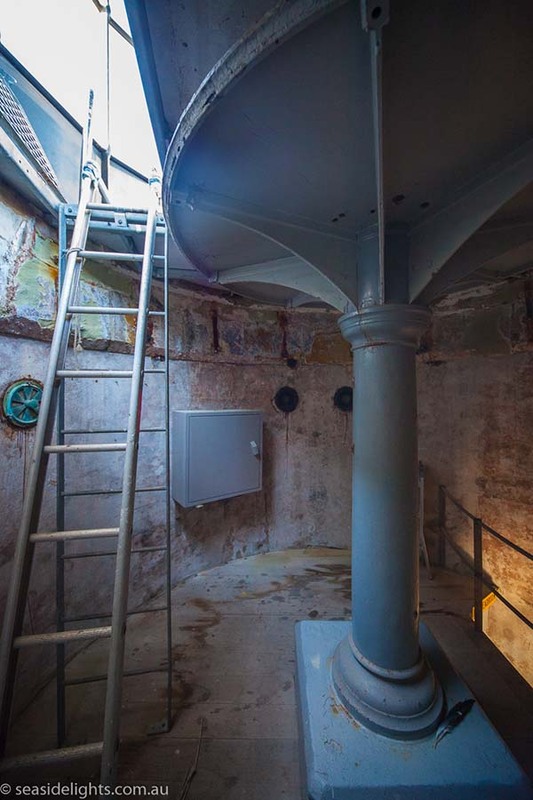 In 1985 a wind generator with storage batteries was introduced to power the light but was abandoned in 1990 as the fierce winds caused too many maintenance problems. Solar panels were used to replace wind and are still in use today. This was experienced by several different keepers on the middle-watch so the ‘ghost in the tower’ legend grew and became generally accepted. 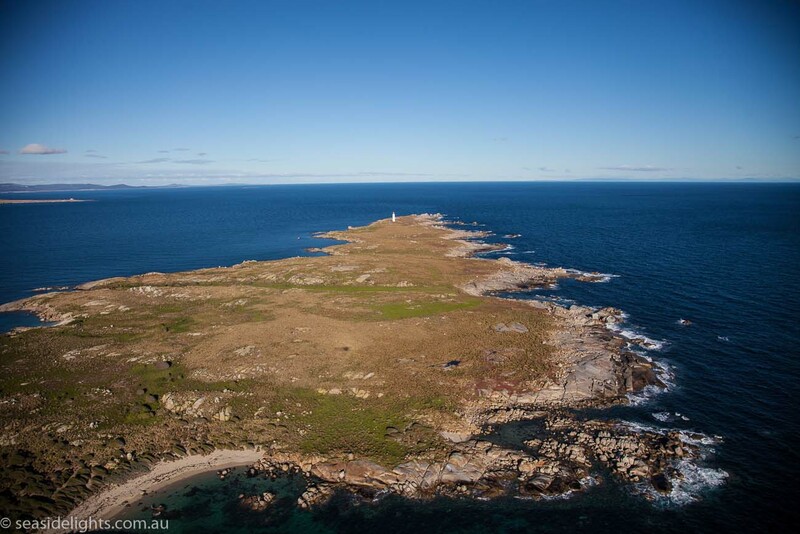 Goose Island lies off the west coast of Flinders Island in Bass Strait. Access is only by helicopter or sea. 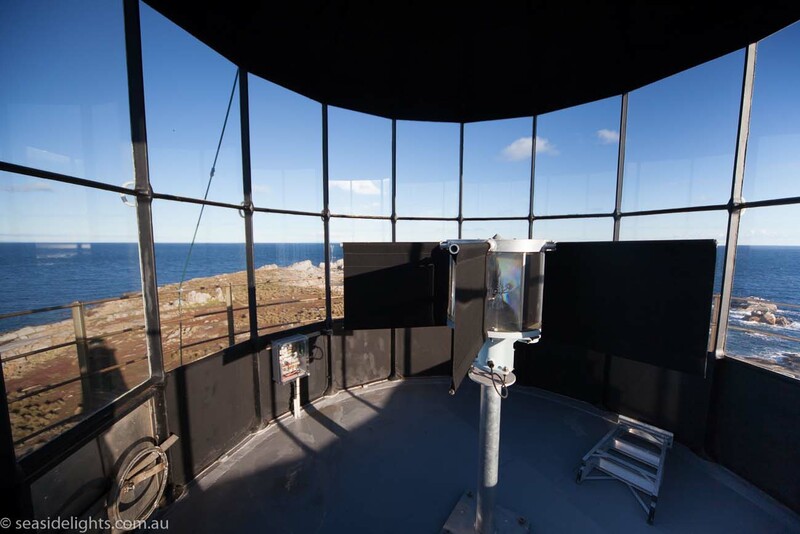 The nearest point of departure is Whitemark on Flinders Island.